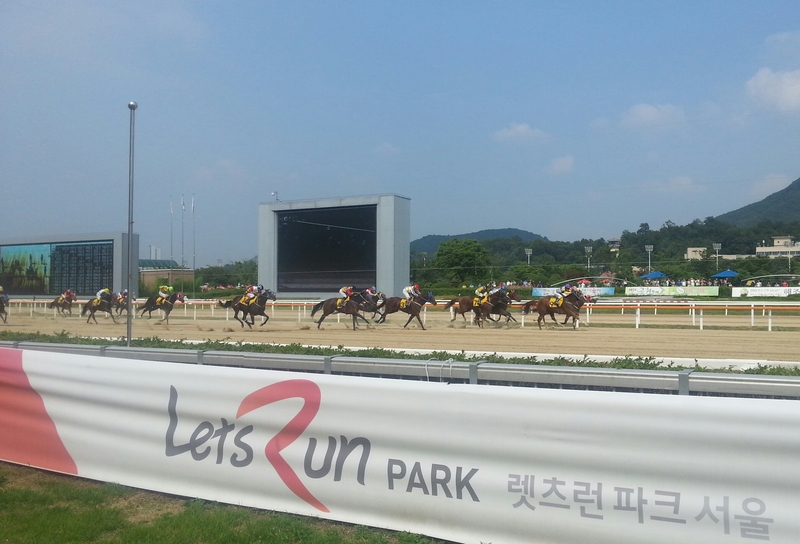 It has been a tense week in Korean racing. However, despite the threat of a boycott by owners, declarations went ahead as normal at Seoul Racecourse on Thursday morning following Busan where it had been business as usual the day before. Although some planned races have been cancelled, a big weekend still awaits. There have been a couple of casualties from the uncertainty earlier in the week. The scheduled overseas simulcast on Friday and Saturday was cancelled in case a large scale boycott materialised and a last minute reorganisation of the schedule was required, while there are also no regular class 1 or class 2 races in the capital. The Segye Ilbo Cup, a Stakes race, will go ahead, however, as it remains restricted to Korean bred runners. Busan hosts class 1 action on Sunday afternoon though and there is a mouth watering clash in store as Gyeongbudaero heads the weights on his first appearance of 2015. The Grand Prix Stakes winner is the best of six Korean bred horses taking on six imports in exactly the kind of race the new rating system was intended to provide. Gumpo Sky (taking on foreign-bred horses fort he first time), and imports Cheonji Bulpae and Spring Gnarly will also be going in the handicap over 2000M. At Seoul, where not all stakeholders are yet onboard with the new system, we are down to eight races on Saturday and ten on Sunday. The highlight is the Segye Ilbo Cup on Sunday in which the track’s top-rated Korean-bred horse Gwanggyo Bisang will be favoured to get back to winning ways. To make up for the lost races on Saturday, eight of the nine pony races from Jeju Island will be simulcasted back to punters at Seoul instead of the usual four. It’s the first weekend of the post Ikuyasu Kurakane era at Seoul but the four Japanese jockeys at Busan; Joe Fujii, Masa Tanaka, Nozomu Tomizawa and Nobuyuki Oyama are all in action.